Live Acoustic Music Events: Weddings, Parties, Fundraisers, Company Parties, Holiday Tree Lightings, Corporate Mixers and Conferences. Solo or Duet. Popular Top 40 hits-Rock, R&B, Country, Blues, Jazz and Folk music. Sandy studied classical guitar, vocal lessons and has a songwriting certificate through Berklee. 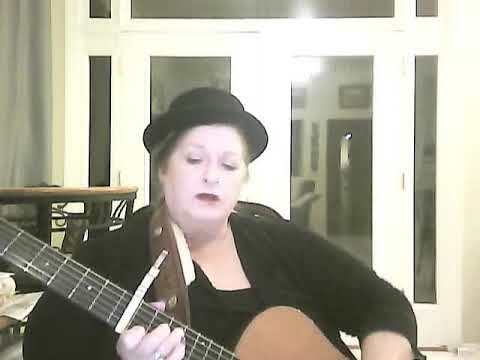 Sandy Hathaway is a live music performer, guitarist and vocalist. She plays covers song with the flavor of a singer-songwriter. Sandy tours in, California, Nevada, Michigan, Hawaii, and Belize C.A. Award winning songwriter-Top ten finalist Tucson Folk Festival 2004, 2016 & 2017 placing third place. West Valley Country Music Association Songwriting Contest -second place 2017. Sandy is awesome, before the event she wanted to meet with me to not only hear the songs she had in mind but she also wanted to get to know me. During the event Sandy was awesome, she played her heart out and really got us into the spirit, I would definitely have her again. Sandy made our wedding PERFECT! She is incredibly talented, has the kindest heart, and truly made our night beautiful! She played the songs we requested with such amazing style. We feel so blessed to have had her play for us! Thank you sandy! We LOVE YOU! Sandy did a fantastic job for my clients wedding! Thank you! Sandy played for two hours during my husband's 60th birthday party providing a very memorable evening for all involved. She came an hour early to set up, played beautiful background music and set the tone for a magical evening! Sandy has a clear, true voice; she is very talented! We highly recommend her! We love Sandy's music! She provided holiday music for a family party of about 25-30 people. She shows up early, has professional equipment, and has a beautiful voice. She has an extensive playlist and even played a few children's songs for our "dance with the band" toddlers. We will definitely hire her again, she can play ANY size venue. Fantastic musician, professional gear, and arrives early! I loved Sandy. She showed up 45 - 1 hour early to set up. I had her play for a small party of family and friends at my home, about 20 people total. It was easy to see that she would also be great with a large event, she comes prepared. I will hire her again. The music was beautiful and created wonderful atmosphere at my party. Sandy is amazingly talented - highly recommend! Sandy did an amazing job at our wedding! Couldn't have asked for a more talented and professional musician and DJ for it. Would definitely recommend her to anyone looking for an amazing musician with great talent! Thank you for making our wedding day so special!! My fiancé and I booked Sandy 8 months before our wedding so we could be as prepared as possible and avoid last minute stress. She was very communicative and worked with us to come up with a great set list for our event. However, a month before our wedding, Sandy emailed me saying she had to cancel. I was freaking out and so stressed because we got married on Valentine's Day and knew it would be hard to find a replacement on short notice. I was so upset that we booked Sandy so far ahead of time to avoid stress and ended up being more stressed out just weeks before our wedding. Unfortunately, I cannot recommend Sandy because we never got to hear her sing in person and were left hanging just a month ahead of out big day. Rachael, I'm surprized this is the response you have only two days after your wedding day, a time when you should be honeymooning. I was truly sorry, but I would not be in town because of my business schedule. A client who books repeat gigs that pay three times the amount you were quoted could not be turnned down. This is a business too. I did give a month notice. Best Wishes for your marriage. Sandy is very professional and very nice. She was such a pleasure to have for our graduation party. Wonderful voice and set list! Thank you so much! Thank you Erika for the lovely review! Your guests were delightful! It was a pleasure! Sandy has a lovely warmth that greets you as you extends your hands in Hello. She arrived punctual and organized. Quickly assessing her options for setup, she was tuned and playing in 20 minutes.her musical style is melodious, non-intrusive, adding just the right soft tones to the background.Her reading of the audience perfect in music choice.She concluded with a gracious departure.Her instruments included a guitar and ukulele. Sandy performed for us at the Fairmont Scottsdale Princess in June for our Corporate Event. She was professional, punctual on time and most importantly -- a great musician! She provided wonderful background music for our networking event and was a pleasure to work with. Thank you Gabrielle! Your review is appreciated! Over the last decade I've known and listened to Sandy's songwriting, as it reflects her life and as she has continued to work at getting out there and playing her songs, in many ways performing her life and observations of others in tight little song packages. Sandy seems to have a rare mix of music and art, with both organisational business sense and a desire to continue to grow as an artist, a writer and a performer - I'd urge you to share the journey, an experience shared is an experience that grows. Thank you for the kind words and for taking the time to post a review. Delightful delivery, Sandy Hathaway live performances are engaged with emotion and expression. Her clients call her back for shows. She performs cover songs by popular current artists such as Ed Sheeran and Miranda Lambert and top ten artists. 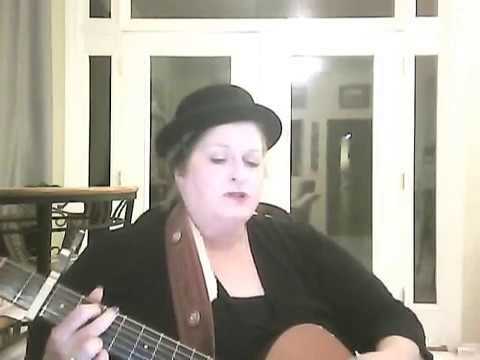 She covers songs by Shawn Colvin, James Taylor, Adele, Patty Griffin, Dylan, Joni Michelle, Gavin DeGraw, Howie Day, Train, Norah Jones, Rihanna, Natalie Merchant, Sara Bareilles, Sarah McLaughlin, and many more. Sandy has been playing the Scottsdale Art Walk and Desert Ridge Marketplace for three years. She has played Xtreme Brean and The Village Roastery for over twelve years. She has a strong work ethic and rarely takes breaks. Only the best gear: Taylor 514CE, Sure AX1 Mic, Martin strings with Yamaha or Bowes Sound system. 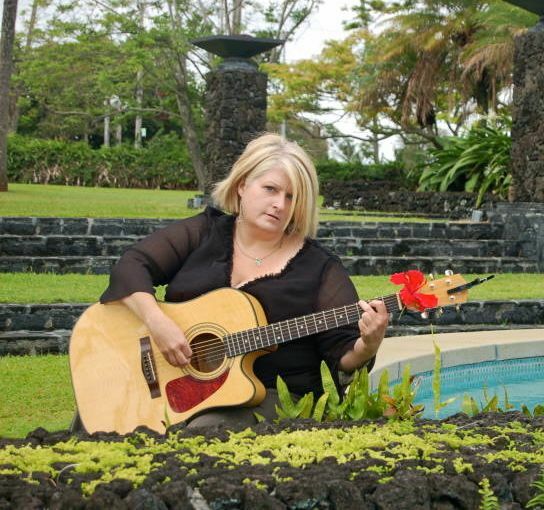 Sandy Hathaway is a live music performer, guitarist and vocalist. Event DJ services combined with live music for weddings and events. 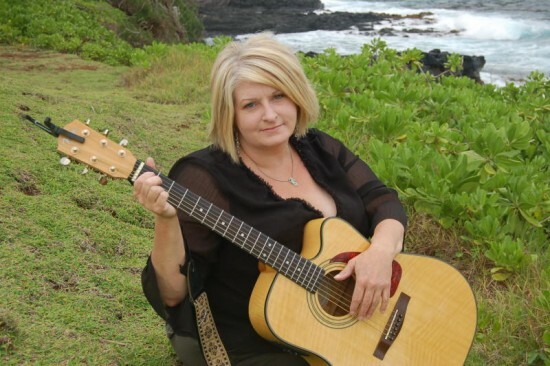 Sandy also plays the ukelele and Mandolin and Sandy has been singing in Arizona for 14 years and touring in, California, Nevada, Michigan, Hawaii, and Belize C.A. Event Experience: Weddings, Parties, Fundraisers, Company Parties, Holiday Tree Lightings, Corporate Mixers and Conferences. Professional Gear: High End Guitars, Quality Mics, Pro Lighting, Variety of Sound Systems. PA Bowes or Yamaha sound systems, mics, and lighting as well as stands, stools, guitars provided by Sandy Hathaway music. Require one (1) electric outlet. Early influences were Joni Michelle, Bob Dylan, James Taylor and Judy Collins. As I played more and more live shows between 2004 to 2008 I began developing new influences: Dar Williams, Ani DeFranco, Gavin DeGraw, Train, Howie Day--more contemporary artists. Power Source and Stage for one mic and one guitar instrument cable.